Here's more about JAHA, and how you can support our work. The Johnstown Area Heritage Association (JAHA) is a non-profit organization that bases our work on Johnstown’s historic resources and sense of place – its legendary stories, historic buildings and districts, and cultural traditions. Our mission is to preserve and revitalize historic places, bring visitors and new investment into the city’s core, and build our city’s future through heritage tourism. Our museums and special events spotlight the features that make Johnstown special for visitors and residents alike. We have a strong track record going back to 1971 and have accomplished a great deal, but there’s still so much to do. Your support of JAHA’s 2019 Annual Fund Campaign allows JAHA to continue this important work. JAHA is in the final stages of planning for major exhibition and building upgrades at the Johnstown Flood Museum. The new facility will be a state-of-the-art destination with interactive digital displays that will open up the story for a new generation. Construction is complete on Phase I of the rehabilitation of the historic Johnstown Railroad Station, and we are now working to fully reuse the landmark. In addition to saving the building itself, JAHA is working with organizations that are advocating increased rail service to western Pennsylvania. JAHA created and operates the Peoples Natural Gas Park. This flexible venue has been a real addition to Johnstown’s vitality by attracting thousands to the City for events such as the Flood City Music Festival and Thunder in the Valley, while serving as a catalyst for new events. JAHA presents museum-based and online education programs to thousands of students annually. Through benefactors like you and our ability to bring grant and other funding to our community, JAHA has become one of the largest non-profit developers and investors in the City despite a difficult economic environment. 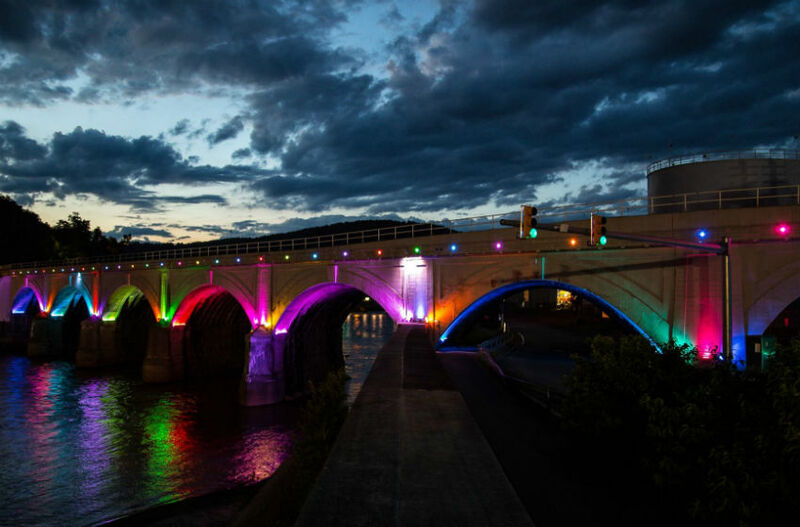 We enhance Johnstown’s sense of place and quality of life, and build community pride. We ask you to consider supporting JAHA’s important work with a gift to the 2018 Annual Fund, which will benefit Johnstown today and long into the future. A JAHA Annual Fund has been established through the Community Foundation for the Alleghenies. You can make a secure, tax-deductible donation using the form below, or alternatively, download this form and mail your donation to JAHA at PO Box 1889, Johnstown PA 15907. The Johnstown Area Heritage Association (JAHA) is working on “For the Future: A Campaign for the Johnstown Flood Museum,” a $2.5 million campaign to renovate and refurbish Johnstown’s flagship tourist attraction, and provide marketing support. The project will completely redo permanent exhibitions with exciting, state-of-the-art technology, incorporating new artifacts and research. The building will be completely refurbished, including new electrical and HVAC systems. Further details on the plans can be found here. A fund for the Johnstown Flood Museum Campaign has been established at the Community Foundation for the Alleghenies to support this project. You can make a secure, tax-deductible donation using the form below (alternatively, download and mail in this form). 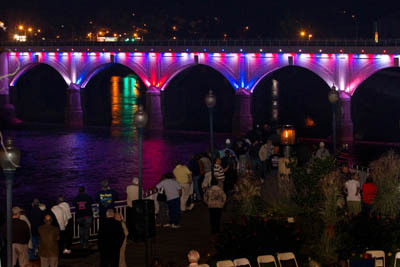 Dedicated in 2011, the Stone Bridge Lighting Project illuminates the historic Stone Bridge for three hours each evening in colorful, animated lights that are programmed thematically to be inclusive, meaningful and fun. You can donate securely online to the Stone Bridge Lighting Fund at the Community Foundation for the Alleghenies at the form below; alternatively, you can mail checks designated “The Stone Bridge Lighting Fund” to The Community Foundation, 116 Market Street, Johnstown, PA 15901.